A quality fence that has been installed well and properly maintained can provide a great many benefits to your home and property, both inside and out. One of the first things people think about when looking at a home is the fence. This is for many reasons. A quality fence that has been installed well and properly maintained can provide a great many benefits to your home and property, both inside and out. 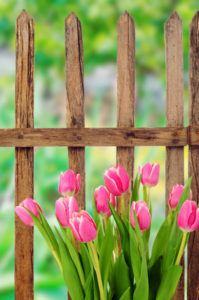 A fence elevates the aesthetics of your home on the outside by providing a frame for your property. It also benefits those who live in your home by protecting from all manner of things. Here are some of the ways a fence benefits your property. One of the main reasons homeowners choose to purchase a fence is for keeping their dog or cat in the yard. Having a fence is a huge convenience for dog owners because they can just let the dog out when they need to go out. They can also hang out in the yard and play with the dog off a leash without fear of the dog running away or something in the home getting damaged from boisterous play. A fence also keeps children safe. This is especially true for little ones who aren’t quite ready to venture out by themselves yet. A fence gives children clear boundaries of the space where it is safe to play. It is also good for you as a caregiver because once your child is old enough to play by themselves, you can just peek out of a window and check on them and you know that they will be right there. Another benefit of a fence is the privacy that some types of fencing provide. A privacy fence allows you to enjoy your outdoor space without nosy neighbors being able to peek in. In the summer heat, your privacy fence also provides much-needed shade. This entry was posted on Thursday, February 15th, 2018 at 9:51 am. Both comments and pings are currently closed.